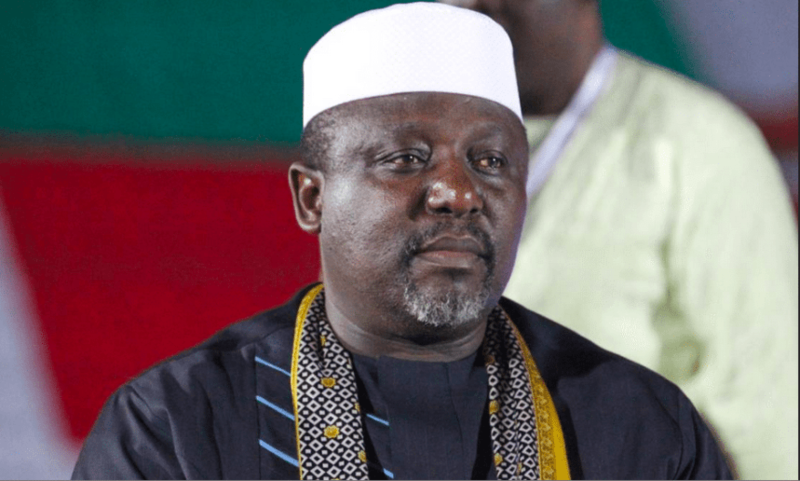 The outgoing governor of Imo state, Owelle Rochas Okorocha has summed up a position that people in the state can not be able to count all his property. Speaking on a wide range of issues to a section of press he chose to address in Owerri, Okorocha was excited to state that his property is numerous for people to know all. The governor was quoted to have expressed that “I am not unmindful of the rumours going round the state of my properties. I hear people are counting my properties. ” Let it be known to them that they can not count all my properties and they should not count only the ones here, they should come to Abuja and Lagos to count there. I say so with pride that I was and still a very successful businessman even before I came in as the governor of the state. I hear some people making noise of my property and writing petitions. Let them go ahead and do but I want to assure that you that every penny I spent have been legal. “I was Rochas before governor and the Rochas itself is bigger than the image of a governor. If I remove the mask of governor you will see the real Rochas. The real Rochas is not by any means a tiny person in every ramification. I advice the persons writing petitions to stop wasting their time. “I am proud to say that I have brought investments in this land and have encouraged my family members to bring their investments here. The economy of Imo stage is booming more than it ever did since creation because I demonstrated it by bringing down my investment and encouraging my friends and family members to do same. “I salute my family members who brought back their businesses from Abuja to this land to create jobs for our teaming youths. Let no one take this sacrifice of ours to mean stupidity. I challenge the incoming governments had done it, Imo would have developed economically more than it is now.